Preheat oven to the temperature you usually roast your turkey, typically 325-350 degrees. 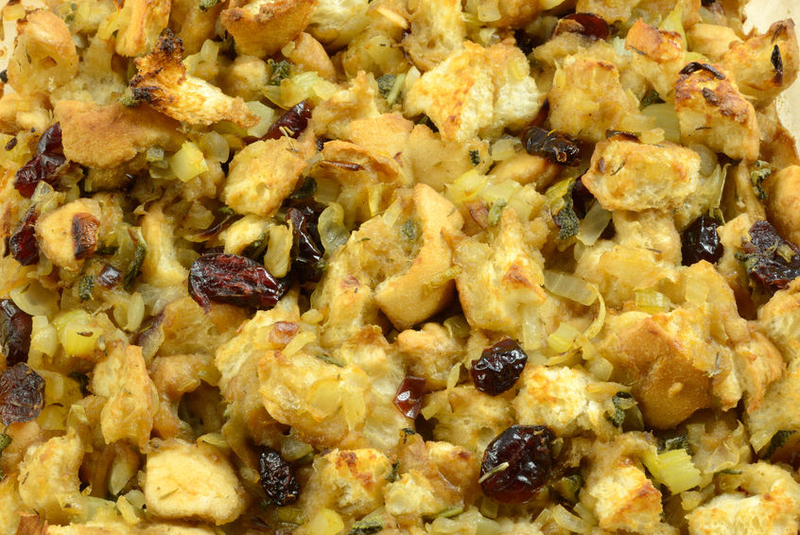 Put the bread cubes, walnuts and cranberries in a large bowl and set aside. Place remaining Butter EVOO in a skillet over medium-high heat and add onion and celery. Cook 4-5 minutes until softened and lightly browned, stirring frequently. Add parsley, ground sage, thyme, kosher salt and pepper and mix well. Add celery/onion mixture to the bread cube mixture and toss to combine thoroughly. Pour 1 cup of the chicken broth over the mixture in the bowl and stir to combine. Add the other half cup chicken broth and salt and pepper, if desired.